b. You may not use the Services, or accept the General Terms, if (i) you are not of legal age to form a binding contract with On Track Wellness, or (ii) you are prohibited by law from receiving or using the Services. d. On Track Wellness may change the Terms from time to time at its sole discretion, including by imposing a charge for access to or use of a Service. If such changes are made, On Track Wellness will make a new copy of the General Terms available at the Site, with any new Additional Terms made available to you from within or through the affected Service. On Track Wellness may require you to provide consent to the updated Terms in a specified manner before further use of the Services is permitted. Otherwise, your continued use of the Site or any affected Service constitutes your acceptance of the changes. Your use of the Site, Materials and Services is subject to the most current version of the Terms posted on the Site, or within or through the affected Service, at the time of such use. Please regularly check the Site to view the then-current Terms. b. Unless expressly agreed to by On Track Wellness in writing elsewhere, On Track Wellness has no obligation to store any Materials that you upload, post, email, transmit or otherwise make available through your use of the Site or via the Services ("Your Content"). On Track Wellness has no responsibility or liability for the deletion or accuracy of any Materials, including Your Content, the failure to store, transmit or receive transmission of Materials, or the security, privacy, storage or transmission of other communications originating with or involving use of the Services. Certain Services may enable you to specify the level at which such Services restrict access to Your Content. You are solely responsible for applying the appropriate level of access to Your Content. If you do not choose, the system may default to its most permissive setting. You agree that On Track Wellness retains the right to create reasonable limits on On Track Wellness’s use of the Materials, including Your Content, such as limits on file size, storage space, processing capacity, and similar limits described in the web pages accompanying the Services and as otherwise determined by On Track Wellness in its sole discretion. c. You agree that your Account Information will always be complete, accurate and up-to-date. It is your responsibility to keep your Account Information confidential at all times and you are solely responsible for all activity that occurs to your Account Information when you are logged in to your account. If you become aware of any unauthorized use of your account or Account Information, or any other breach of security, you agree to notify On Track Wellness immediately. You may not use another person’s Account Information. On Track Wellness may require that you change your Account Information or certain parts of your Account Information at any time for any reason. e. You agree not to access or attempt to access the Services by any means other than the interface provided by On Track Wellness. a. The Site, Services and Materials, and their selection and arrangement, are protected by copyright, trademark, trade dress, patent, trade secret, unfair competition, and other intellectual and proprietary rights (the "Intellectual Property Rights"). Except as expressly provided in the Terms, On Track Wellness and its suppliers do not grant any express or implied rights to use the Site, Services and Materials. b. The trademarks, logos and service marks displayed on the Site (the "Marks") are the property of On Track Wellness or third parties. You are not permitted to use the Marks without the prior consent of On Track Wellness or the third party that may own the Marks. On Track Wellness and the On Track Wellness logo are trademarks of On Track Wellness Systems Incorporated. a. Any Software that is made available via the Site is the property of On Track Wellness and its suppliers. Use of such Software is governed by the terms of the license agreement that accompanies or is included with the Software, or by the license agreement expressly stated on the Site page(s) accompanying the Software. You shall not use, download or install any Software that is accompanied by or includes a license agreement unless you agree to the terms of such license agreement. Unless the accompanying license agreement expressly allows otherwise, any copying or redistribution of the Software is prohibited, including any copying or redistribution of the Software to any other server or location, redistribution or use on a service bureau basis. If there is any conflict between the Terms and the license agreement, the license agreement shall take precedence in relation to that Software (except for as provided in the following sentence). If the Software is a pre-release version, then, notwithstanding anything to the contrary included within an accompanying license agreement, you are not permitted to use or otherwise rely on the Software for any commercial or production purposes. b. If no license agreement accompanies the Software, use of the Software will be governed by the Terms. On Track Wellness grants you a personal, worldwide, royalty-free, non-assignable, nonexclusive license to use the Software for the sole purpose of enabling you to use the Services as provided by On Track Wellness, in the manner permitted by the Terms. You agree that you will not decompile, reverse engineer or otherwise attempt to discover the source code of the Software. Notwithstanding the foregoing, decompiling the Software is permitted to the extent the laws of the jurisdiction where you are located give you the right to do so to obtain information necessary to render the Software interoperable with other software, provided, however, that you must first request the information from On Track Wellness and On Track Wellness may, in its discretion, either provide such information to you or impose reasonable conditions, including reasonable fees, on use of the Software to ensure that On Track Wellness’s Intellectual Property Rights in the Software are protected. Unless On Track Wellness has given you specific written permission to do so, you may not assign (or grant a sublicense of) your rights to use the Software, grant a security interest in or over your rights to use the Software, or otherwise transfer any part of your rights to use the Software. c. The Software may automatically download and install updates from On Track Wellness from time to time. These updates are designed to improve, enhance and further develop the Services and may take the form of bug fixes, enhanced functions, new Software modules and completely new versions. You agree to receive such updates (and permit On Track Wellness to deliver these to you with or without your knowledge) as part of your use of the Services. 5. Use of On Track Wellness Materials, User Content and Shared Group Content. iv. You may not remove any text, copyright or other proprietary notices contained in the On Track Wellness Materials or User Content. b. Some Services involve collaboration and file-sharing services among a specific group (a "Group") in conjunction with such collaboration and file-sharing ("Shared Group Content"). Members of a Group may use the Shared Group Content available to such Group in any manner that has been agreed upon by the User providing such Shared Group Content to the Group. It is your sole responsibility to determine what limitations, if any, are placed on Shared Group Content that you distribute within your Group. You agree that On Track Wellness has no liability of any kind should members of your Group modify, destroy, corrupt, copy or distribute your Shared Group Content in violation of the limitations that you may impose on its use. c. On Track Wellness reserves the right to revoke the authorization to view, download and print the On Track Wellness Materials and User Content at any time, and any such use shall be discontinued immediately upon notice from On Track Wellness. e. The rights specified above are not applicable to the design, layout or look and feel of the Site. Such elements of the Site are protected by Intellectual Property Rights and may not be copied or imitated in whole or in part. No mark, graphic, sound or image from the Site may be copied or retransmitted unless expressly permitted by On Track Wellness. In addition, various sections of the Sites may showcase the work of creative professionals. Such Materials (whether On Track Wellness Materials or User Content) belong to their creators, may be protected by Intellectual Property Rights, and are for display purposes only. Accordingly, you may not download or print these works unless there is a notice associated with the work expressly permitting such uses. a. You agree that you, not On Track Wellness, are entirely responsible for all of Your Content that you upload, post, email, transmit or otherwise make available on the Site or via the Services ("Make Available"), whether publicly posted or privately transmitted. You assume all risks associated with use of Your Content, including any reliance on its accuracy, completeness or usefulness. a. On Track Wellness, in its sole discretion, may (but has no obligation to) monitor or review the Services and Materials at any time. Without limiting the foregoing, On Track Wellness shall have the right, in its sole discretion, to remove any of Your Content for any reason (or no reason), including if it violates the Terms or any Law. b. Although On Track Wellness does not generally monitor User activity occurring in connection with the Site, Services or Materials, if On Track Wellness becomes aware of any possible violations by you of any provision of the Terms, On Track Wellness reserves the right to investigate such violations, and On Track Wellness may, at its sole discretion, immediately terminate your license to use the Site, Services, or Materials or change, alter or remove Your Content or Account Information, in whole or in part, without prior notice to you. If, as a result of such investigation, On Track Wellness believes that criminal activity has occurred, On Track Wellness reserves the right to refer the matter to, and to cooperate with, any and all applicable law enforcement authorities. Except to the extent prohibited by applicable Law, On Track Wellness is entitled to disclose any information or Materials, including Your Content or Account Information (or elements thereof), in On Track Wellness’s possession in connection with your use of the Services to (i) comply with applicable Law, legal process or governmental request; (ii) enforce the Terms; (iii) respond to any claims that Your Content violates the Terms or rights of third parties; (iv) respond to your requests for customer services; or (v) protect the rights, property or personal safety of On Track Wellness, its Users or the public, and law enforcement or other government officials, as On Track Wellness in its sole discretion believes to be necessary or appropriate. a. On Track Wellness does not claim ownership of Your Content. However, except as provided in Section 8(b), you grant On Track Wellness a worldwide, royalty-free, nonexclusive, perpetual, irrevocable, and fully sublicensable license to use, distribute, reproduce, modify, adapt, publish, translate, publicly perform and publicly display Your Content (in whole or in part) and to incorporate Your Content into other Materials or works in any format or medium now known or later developed. In the case of Your Content covered by Section 8(b)(i), you grant On Track Wellness only those rights set forth in such Additional Terms. In the case of Your Content covered by Section 8(b)(ii), you grant Principled Investments a worldwide, royalty-free, nonexclusive, and fully sublicensable license to use, distribute, reproduce, modify, publish and translate Your Content solely for the purpose of enabling your use of the Service. You may revoke this license and terminate On Track Wellness’s rights at any time by removing Your Content from the Service. By submitting ideas, suggestions, documents and/or proposals ("Feedback") to On Track Wellness through its suggestion, feedback, wiki, forum or similar web pages, you acknowledge and agree that (i) your Feedback does not contain the confidential or proprietary information of your or of third parties; (ii) On Track Wellness is not under any obligation of confidentiality, express or implied, with respect to the Feedback; (iii) On Track Wellness, in its discretion, shall be entitled to use and disclose such Feedback for any purpose, in any way, in any media worldwide; (iv) On Track Wellness may have something similar to the Feedback already under consideration or in development; (v) the Feedback automatically becomes On Track Wellness’s property without any obligation to you; and (vi) you are not entitled to any compensation or reimbursement of any kind from On Track Wellness for the Feedback under any circumstances. Except for Your Content subject to Section 8(b) above, you agree that On Track Wellness may derive revenue and/or other remuneration from Your Content that you Make Available via the Services without payment to you. For example, On Track Wellness may display On Track Wellness and/or third party paid advertisements and/or other information adjacent to or included with the Services and adjacent to or in connection with Your Content, and you agree that you are not entitled to any compensation for any such advertisements. The manner, mode and extent of advertising or other revenue generating models pursued by On Track Wellness on or in conjunction with the Services and/or Your Content are subject to change without specific notice to you. The Site, Services and Materials may include links that will take you to other sites outside of the Site ("Linked Sites"). The Linked Sites are provided by On Track Wellness to you as a convenience and the inclusion of the links does not imply any endorsement by On Track Wellness of any Linked Site. On Track Wellness has no control of the Linked Sites and you agree that On Track Wellness is not responsible for the availability or contents of any Linked Site (including any advertising, products or other materials on or available from such Linked Site), any link contained in a Linked Site, or any changes or updates to a Linked Site. On Track Wellness may at any time and from time to time modify or discontinue, temporarily or permanently, the Site, Services, or Materials, or any portion thereof, with or without notice. You agree that On Track Wellness shall not be liable to you or any third party for any modification, suspension or discontinuance of the Site, Services, or Materials. a. The Terms will continue to apply until terminated by either you or On Track Wellness as set forth below. b. If you want to terminate your agreement with On Track Wellness, you may do so by (i) notifying On Track Wellness at any time and (ii) closing your accounts for all of the Services or Materials that you use, where On Track Wellness has made this option available to you. Your notice should be sent, in writing, to On Track Wellness’s address set forth below. e. You agree that all terminations for cause shall be made in On Track Wellness’s sole discretion and that On Track Wellness shall not be liable to you or any third party for any termination of your account (and accompanying deletion of your Account Information), or access to the Site, Services and Materials, including Your Content. a. 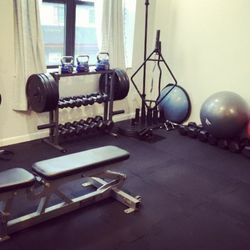 THE SITE, SERVICES AND MATERIALS ARE PROVIDED BY ON TRACK WELLNESS "AS IS," WITHOUT WARRANTY OF ANY KIND, EITHER EXPRESS, IMPLIED, STATUTORY OR OTHERWISE, INCLUDING THE IMPLIED WARRANTIES OF TITLE, NON-INFRINGEMENT, MERCHANTABILITY OR FITNESS FOR A PARTICULAR PURPOSE. WITHOUT LIMITING THE FOREGOING, ON TRACK WELLNESS MAKES NO WARRANTY THAT (I) THE SITE, SERVICES OR MATERIALS WILL MEET YOUR REQUIREMENTS OR WILL BE UNINTERRUPTED, TIMELY, SECURE OR ERROR-FREE; (II) THE RESULTS THAT MAY BE OBTAINED FROM THE USE OF THE SITE, SERVICES OR MATERIALS WILL BE EFFECTIVE, ACCURATE OR RELIABLE; (III) THE QUALITY OF THE SITE, SERVICES OR MATERIALS WILL MEET YOUR EXPECTATIONS; OR THAT (IV) ANY ERRORS OR DEFECTS IN THE SITE, SERVICES OR MATERIALS WILL BE CORRECTED. NO ADVICE OR INFORMATION, WHETHER ORAL OR WRITTEN, OBTAINED BY YOU FROM ON TRACK WELLNESS OR THROUGH OR FROM USE OF THE SERVICES SHALL CREATE ANY WARRANTY NOT EXPRESSLY STATED IN THE TERMS. b. ON TRACK WELLNESS SPECIFICALLY DISCLAIMS ANY LIABILITY WITH REGARD TO ANY ACTIONS RESULTING FROM YOUR USE OF THE SITE AND MATERIALS, OR YOUR PARTICIPATION IN ANY SERVICES. ANY MATERIAL DOWNLOADED OR OTHERWISE OBTAINED THROUGH USE OF THE SERVICES IS ACCESSED AT YOUR OWN DISCRETION AND RISK, AND YOU WILL BE SOLELY RESPONSIBLE FOR ANY DAMAGE TO YOUR COMPUTER SYSTEM OR LOSS OF DATA THAT RESULTS FROM THE DOWNLOAD OF ANY SUCH MATERIAL. ON TRACK WELLNESS ASSUMES NO LIABILITY FOR ANY COMPUTER VIRUS OR SIMILAR CODE THAT IS DOWNLOADED TO YOUR COMPUTER FROM THE SITE OR ANY OF THE SERVICES. c. ON TRACK WELLNESS DOES NOT CONTROL, ENDORSE OR ACCEPT RESPONSIBILITY FOR ANY MATERIALS OR SERVICES OFFERED BY THIRD PARTIES, INCLUDING THIRD PARTY VENDORS AND THIRD PARTIES ACCESSIBLE THROUGH LINKED SITES. ON TRACK WELLNESS MAKES NO REPRESENTATIONS OR WARRANTIES WHATSOEVER ABOUT, AND SHALL NOT BE LIABLE FOR, ANY SUCH THIRD PARTIES, THEIR MATERIALS OR SERVICES. ANY DEALINGS THAT YOU MAY HAVE WITH SUCH THIRD PARTIES ARE AT YOUR OWN RISK. d. MANAGERS, HOSTS, PARTICIPANTS, MODERATORS AND OTHER THIRD PARTIES ARE NOT AUTHORIZED ON TRACK WELLNESS SPOKESPERSONS, AND THEIR VIEWS DO NOT NECESSARILY REFLECT THOSE OF ON TRACK WELLNESS. TO THE MAXIMUM EXTENT PERMITTED BY APPLICABLE LAW, ON TRACK WELLNESS WILL HAVE NO LIABILITY RELATED TO USER CONTENT ARISING UNDER INTELLECTUAL PROPERTY RIGHTS, LIBEL, PRIVACY, PUBLICITY, OBSCENITY OR OTHER LAWS. ON TRACK WELLNESS ALSO DISCLAIMS ALL LIABILITY WITH RESPECT TO THE MISUSE, LOSS, MODIFICATION OR UNAVAILABILITY OF ANY USER CONTENT. e. ON TRACK WELLNESS WILL NOT BE LIABLE FOR ANY LOSS THAT YOU MAY INCUR AS A RESULT OF SOMEONE ELSE USING YOUR PASSWORD OR ACCOUNT OR ACCOUNT INFORMATION IN CONNECTION WITH THE SITE OR ANY SERVICES OR MATERIALS, EITHER WITH OR WITHOUT YOUR KNOWLEDGE. a. This Site can be accessed from countries around the world and may contain references to Services and Materials that are not available in your country. These references do not imply that On Track Wellness intends to announce such Services or Materials in your country. b. This Site is controlled, operated and administered by On Track Wellness from its offices in the United States of America. On Track Wellness makes no representation that the Site, Services or Materials are appropriate or available for use at other locations outside the United States, and access to the Site from jurisdictions where the Site, Services or Materials are illegal is prohibited. On Track Wellness reserves the right to block access to the Site, Services or Materials by certain international users. If you access the Site from a location outside the United States, you are responsible for compliance with all local Laws. a. IN NO EVENT SHALL ON TRACK WELLNESS, ITS OFFICERS, DIRECTORS, EMPLOYEES, PARTNERS OR SUPPLIERS BE LIABLE TO YOU OR ANY THIRD PARTY FOR ANY SPECIAL, INCIDENTAL, INDIRECT, CONSEQUENTIAL OR PUNITIVE DAMAGES WHATSOEVER, INCLUDING THOSE RESULTING FROM LOSS OF USE, DATA OR PROFITS, WHETHER OR NOT FORESEEABLE OR IF ON TRACK WELLNESS HAS BEEN ADVISED OF THE POSSIBILITY OF SUCH DAMAGES, OR BASED ON ANY THEORY OF LIABILITY, INCLUDING BREACH OF CONTRACT OR WARRANTY, NEGLIGENCE OR OTHER TORTIOUS ACTION, OR ANY OTHER CLAIM ARISING OUT OF OR IN CONNECTION WITH YOUR USE OF OR ACCESS TO THE SITE, SERVICES OR MATERIALS. NOTHING IN THE TERMS SHALL LIMIT OR EXCLUDE ON TRACK WELLNESS’S LIABILITY FOR GROSS NEGLIGENCE OR INTENTIONAL MISCONDUCT OF ON TRACK WELLNESS OR ITS EMPLOYEES, OR FOR DEATH OR PERSONAL INJURY. You agree to indemnify and hold On Track Wellness and its subsidiaries, affiliates, officers, agents, employees, co-branders or other partners, and licensors harmless from any claim or demand, including reasonable attorneys’ fees, made by any third party due to or arising out of Your Content, your use of the Site, Services or Materials, your connection to the Site, Services or Materials, the actions of any member of your Group, your access to or use of Linked Sites and your connections therewith, any claim that Your Content caused damage to a third party, any dealings between you and any third parties advertising or promoting via the Site, Services or Materials, your violation of the Terms, or your violation of any rights of another, including any Intellectual Property Rights. a. All matters relating to your access to, or use of, the Site, Services or Materials shall be governed by the Laws of the State of Oregon, without regard to conflict of laws principles thereof. You agree that any claim or dispute you may have against On Track Wellness must be resolved by a court located in Nassau county, New York, except as otherwise agreed by the parties, or as set forth in section (b) below. You agree to submit to the personal jurisdiction of the courts located in Nassau county, New York, for the purpose of litigating such claims or disputes. The parties specifically disclaim the U.N. Convention on Contracts for the International Sale of Goods. c. All claims you bring against On Track Wellness must be resolved in accordance with this section. All claims filed or brought contrary to this section shall be considered improperly filed. Should you file a claim contrary to this section, On Track Wellness may recover attorneys’ fees and costs up to U.S. $1,000, provided that On Track Wellness has notified you in writing of the improperly filed claim and you have failed to properly withdraw the claim. d. Notwithstanding the foregoing, in the event of your or others’ unauthorized access to or use of the Site, Services or Materials in violation of the Terms you agree that On Track Wellness shall be entitled to apply for injunctive remedies (or an equivalent type of urgent legal relief) in any jurisdiction. a. Any notice provided to On Track Wellness pursuant to the Terms should be sent to 212 Station Plaza North, Mineola, NY 11501.
c. On Track Wellness may provide you with notices, including those regarding changes to the Terms, by email, regular mail, text message, postings on the Site or within the Services, or other reasonable means now known or hereafter developed. d. The Terms constitute the entire agreement between On Track Wellness and you with respect to your access to or use of the Site, Services and Materials and supersede any prior agreements between you and On Track Wellness on such subject matter. e. You may not assign or otherwise transfer the Terms, or any right granted hereunder, without On Track Wellness’s written consent. g. Any failure by On Track Wellness to enforce or exercise any provision of the Terms, or any related right, shall not constitute a waiver of that provision or right.